Norwegians, Scandinavians and Friends are invited to join! 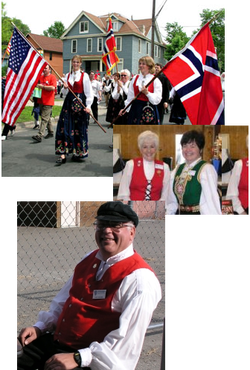 Anyone of Scandinavian heritage, or who has an interest in Scandinavian culture is invited to join the Sons of Norway. The mission of Sons of Norway is to promote and preserve the heritage and culture of Norway and provide quality insurance and financial products to its members. Additionally, we offer financial protection through our field staff representatives to Sons of Norway members and their families against the hardships of sickness and death through a variety of quality insurance programs. Membership applications can be obtained from Sol-Land Lodge by contacting us. * Members with SofN insurance receive a $1.00 discount, Youth $0.50 discount. ** Heritage members need a parent or grandparent as a member to be their sponsor. Initiation fee does not apply. After your returned form is successfully processed, you will receive notification of membership.